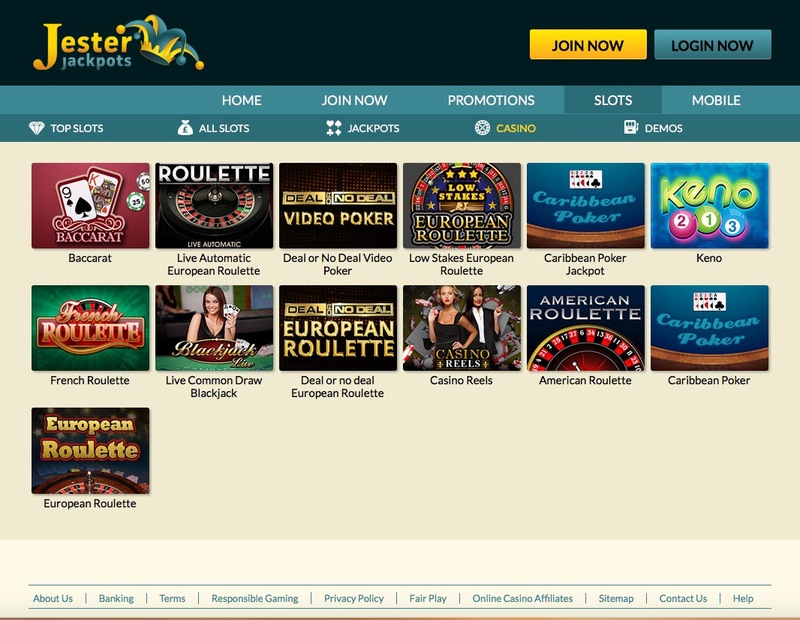 A newbie on the online scene, Jester Jackpot has not been around for long, and as is always this case, this means there is an uphill battle to make an impact on this highly competitive market. This slots based site aims to provide one of, if not the most comprehensive selection of slots available anywhere, which is certainly a way to stand out from the crowd, but quite an ask for any site. The main theme of Jester Jackpots is, perhaps unsurprisingly, a jester. The colour scheme is simple and non-invasive, which is surprising considering how tacky the execution of this theme could be. Luckily, time has been taken to carry the theme throughout the site, while also maintaining a level of subtlety that makes it much easier to look at than it could’ve been. Navigation is simple, and much of the additional design theme is made up of images from the slots available on the site. There are slot games available here from a variety of providers including NetEnt and Barcrest, you will find many of your favourites including Starburst, South Park, and Spinata Grande, as well as the majority of new games available on, on very shortly after their release. Casino lovers can find poker, roulette, baccarat, and poker amongst many others, and often in a verity of forms here, meaning there is pretty much something for everybody. 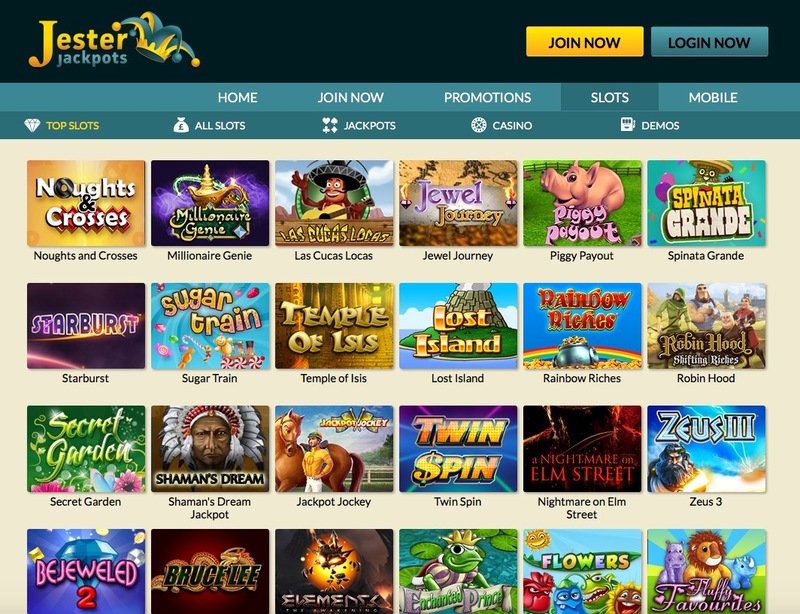 Having only launched in March of 2016, it is going to take some time before it becomes apparent how much noise Jester Jackpots is going to make on the online market, but it has all the right tools in all the right places with its excellent design and wide choice of games, so we may see Jester Jackpots being the name on everyone’s lips in the near future.